On our recent trip up to the Snow Mountain Wilderness in the Mendocino National Forest, my friend Greg and I tried a couple of variations of a long fire. 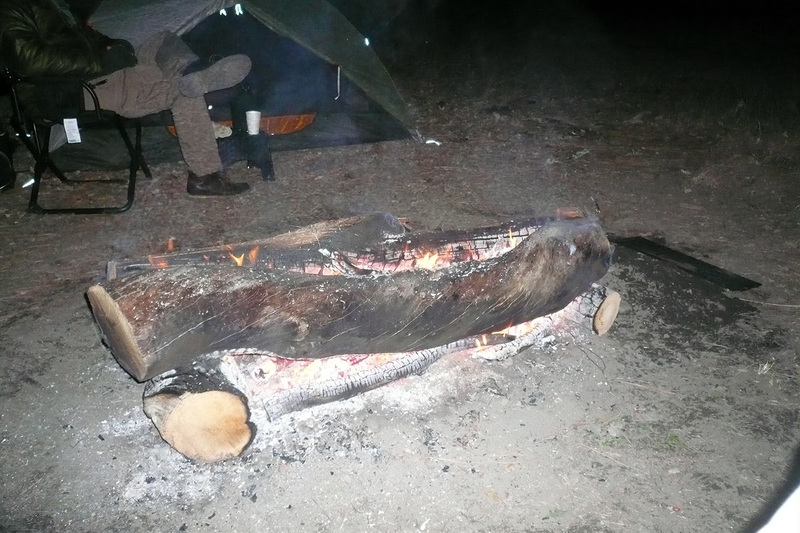 Two benefits of a long fire: a) it uses long logs, so it lasts longer, b) you can cook on it by laying the logs close together at one end to support a pan, or by just using a grill grate. I previously posted about a basic long fire and a standing long fire. We wanted to experiment with an elevated long fire though, since we thought it would throw off more heat than the basic version and be easier to set up than the standing version (since that one requires bracing the upper log). The version above, made with three 8-inch diameter x 5-foot long longs, lasted about 2 hours before it was pretty much done but threw off a ton of heat and burned well. 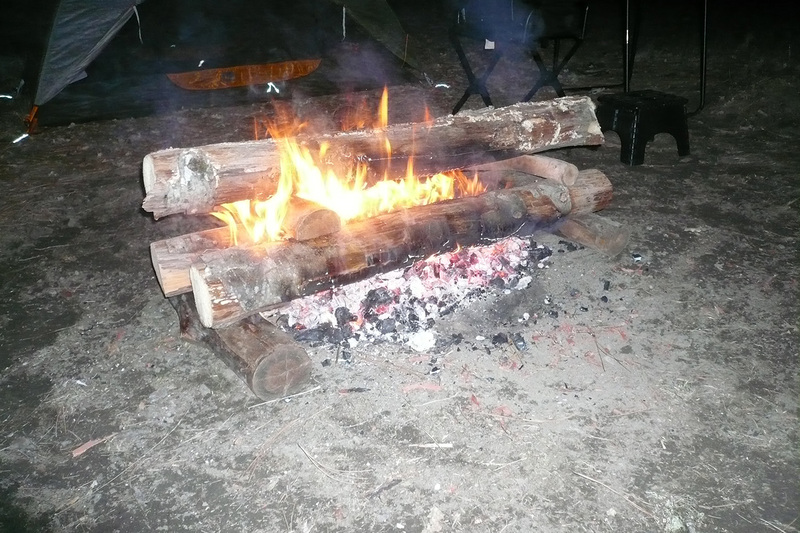 The version below, made with two 10-inch x 5-foot logs, lasted about 3 hours and was about two-thirds burned through before we added more wood. It was a nice, mellow, long-lasting, low-maintenance fire. A long fire can be started in two ways. You can start from scratch by filling the length of the gap between the logs with a variety of kindling (from thin to thick). Or you can do as we did by building a more traditional campfire, letting it die down, then spreading the coals in to a long row, then setting your long fire up over the coals. We then put wrist-thick logs into the coals to get the fire going. One tip: if you flat-spot the ends of the logs before you stack them, you won’t have an issue with burning logs rolling off your campfire as things burn down and inevitably shift.